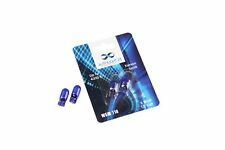 Ford Fiesta xr2i Ring Xenon Ultima h4 Scheinwerfer Lampen NEU! 5 von 5 Sternen - FORD FIESTA XR2i RING XENON ULTIMA H4 HEADLIGHT BULBS NEW! 22 Produktbewertungen22 Produktbewertungen - FORD FIESTA XR2i RING XENON ULTIMA H4 HEADLIGHT BULBS NEW! Designed by Autobeam. Autobeam Care. All Performance products sold by AUTOBEAM are covered with our 5 year protection plan as standard. The LED Interior Panel units utilise the latest and most modern diffuser material by Ford which provides a uniform diffused illumination. Canbus friendly - no dash errors. 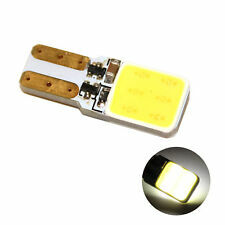 2 x 5w CREE LED per bulb 10w total. LED Headlight Bulbs. 2.4w power draw. However on occasion things do go wrong. Auto Xenon & LED Lighting. Super bright xenon white LED light. Canbus Error Free. LED Headlight Bulbs. Very bright 6500K pure white colour. Auto Xenon & LED Lighting. All in one headlight. May not pass an MOT. The LED part on the bulb is just 6mm wide and 11mm high! Bulbs are 4800K Colour Temp. Contains Xenon & Krypton Gases. 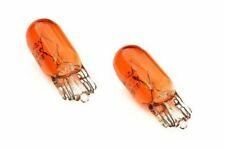 This is 1 pair of 55w H3 Xenon headlight bulbs. Auto Xenon & LED Lighting. LED Headlight Bulbs. These bulbs have been manufactured to a high quality and have the blue cap on top of the bulbs. 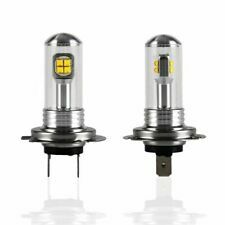 Xenon look Super white 9watt SMD high power LED sidelight bulbs especially designed to work in newer cars with canbus wiring systems. LED Headlight Bulbs. Auto Xenon & LED Lighting. However on occasion things do go wrong. Xenon look Super white 8 SMD high power LED sidelight bulbs especially designed to work in newer cars with the can-bus wiring system. LED Headlight Bulbs. Auto Xenon & LED Lighting. However on occasion things do go wrong. Bulbs are 7500K Colour Temp. Contains Xenon & Krypton Gases. 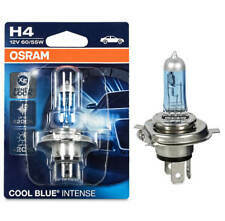 "This is 1 pair of H3 Xenon headlight bulbs. Auto Xenon & LED Lighting. LED Headlight Bulbs. These bulbs have been manufactured to a high quality and have the blue cap on top of the bulbs. Fitting to Auto Vehicle, Truck, Van, SUV, ATV and Motorcycle. Low power consumption and super bright lighting. Usage: Signal Light, Turn Light, Brake Light, Parking Light, DRL and Fog Light. With High-purity brightness, strong penetrability and superior stability. This is an original quality part manufactured by Lucas. FOR FORD FIESTA I. Bulb Type:R2 (Bilux). Version:Single Box. Socket Version:P45t UEC. Usage: Signal Light, Turn Light, Brake Light, Parking Light, DRL and Fog Light. Low power consumption and super bright lighting. Fitting to Auto Vehicle, Truck, Van, SUV, ATV and Motorcycle. With High-purity brightness, strong penetrability and superior stability. Specifications: Housing Material: Aluminum Alloy , Makes The Bulb Work Under Low Heat Lens Design: Virtually Unbreakable PMMA Lens , With The Function Of Focusing Lights LED Type: 2323 LED chip high power LED'S Power: 100W(one light)= 20pcs x 5W 2323 Chip Application: Fog Driving Light Bulbs (Not Bright Enough for Headlight ) Light color:6000K White Lumen: 1800LM/Bulb Light life: 50000 Hours Working Voltage: DC 12V-24V Light Angel: 360 degrees Package Contents: 2x LED H11 H8 Bulbs 100W Attention: For Led bulbs, the following issues may occur if you want to use LED bulb on some European vehicles: Hyper Flashing, No Flashing, or Error Code. Those are NOT problems of LED bulb . You may simply add a set of load resistor (NOT included) to avoid those issues. Prüfzeichen STVZO Zugelassen (Eintragungsfrei). 1x Halogenscheinwerfer links. Halogenscheinwerfer links. Links-/Rechtsverkehr für Rechtsverkehr. Leuchten-Bauart Halogen. Fahrzeugausstattung für Fahrzeuge mit Leuchtweiteregelung (manuell).